The focus of physical therapy for TMJ is relaxation, stretching, and releasing tight muscles and scar tissue. In most cases physical therapy can resolve TMJ and prevent the need for surgery. 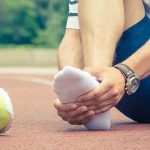 However, in cases where surgery is absolutely necessary, physical therapy is a vital part of the recovery process, as it helps minimize scar tissue formation, muscle tightness and allows for a complete recovery. For more information, Contact us at Grand Forks, Grafton, Park River & Minot, ND & Detroit Lakes, East Grand Forks, Park Rapids & Thief River Falls, MN centers.